This work was originally written for cello and piano in 1873; three years later Saint-Saëns arranged it for cello and orchestra. In my edition the piano part has been arranged for four cellos, with the first cello retaining the original solo part. This arrangement is particularly well-suited for advanced cellists. 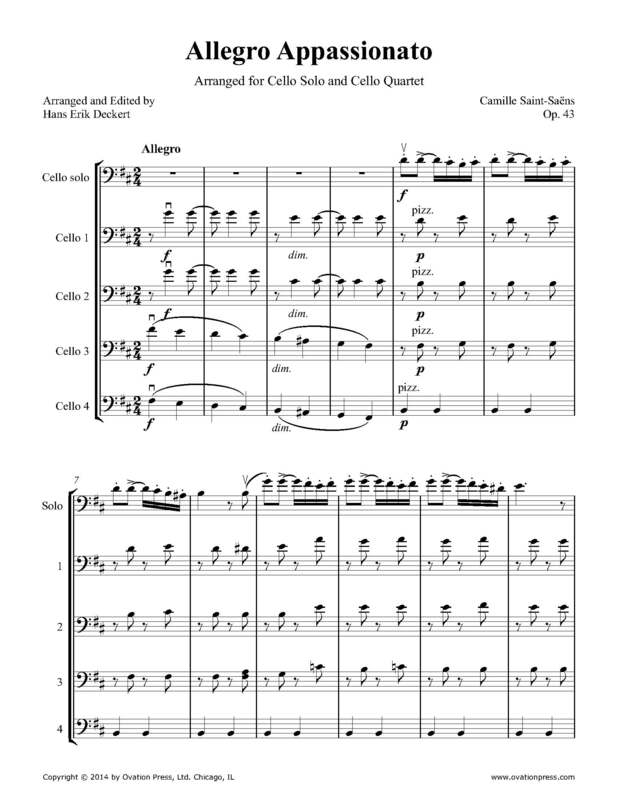 Download and print the score today to gain access to this expertly edited arrangement of Saint-Saëns Allegro Appassionato for cello quintet by Hans Erik Deckert!